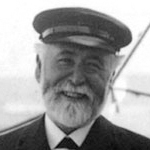 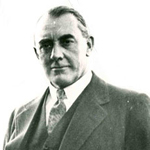 EJ Harland purchased Robert Hickson & Company shipyard and renamed it Edward James Harland & Company. 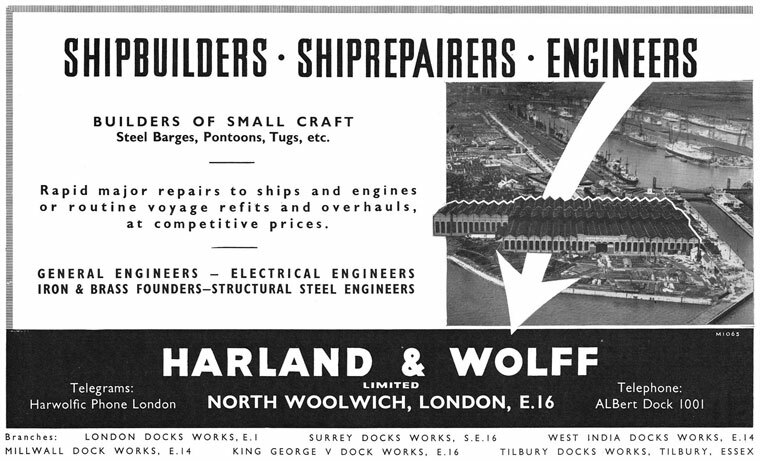 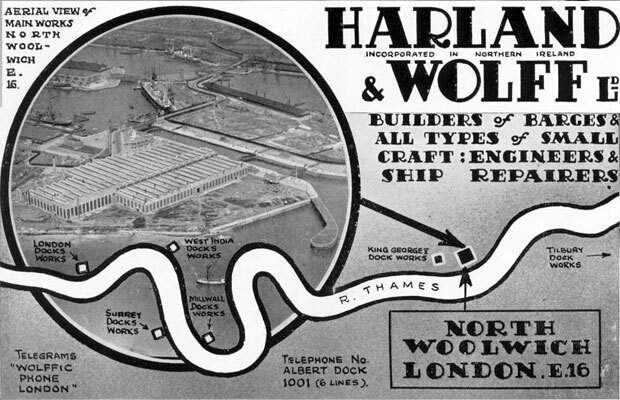 New years day 1862 the name of the company HARLAND & WOLFF was born, under which it still exists today. 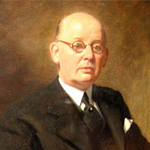 Walter Henry Wilson became a partner in the firm. 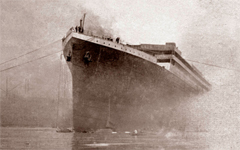 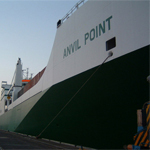 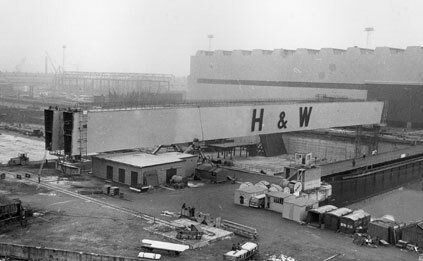 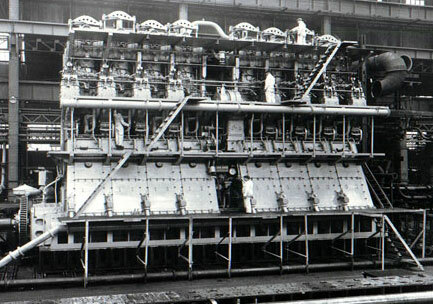 When Mackie and Thomson sold their old Govan yard to Harland and Wolff in 1912, part of the deal was that a four ship contract would be given to them to build four ships at their new six berth yard, based at Irvine on the coast of Scotland. 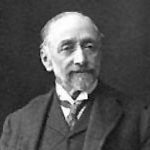 Gustav Wolff died at 42 Park Street, London. 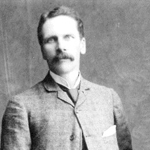 He had been suffering from a serious internal complaint for some time. 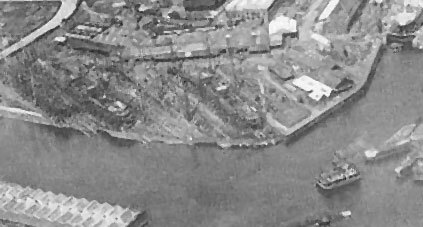 Started to acquire yards on the Clyde - the London and Glasgow Shipbuilding Co shipyard, Robert Napier and Sons old yard, together with the adjoining yard of Mackie and Thomson. 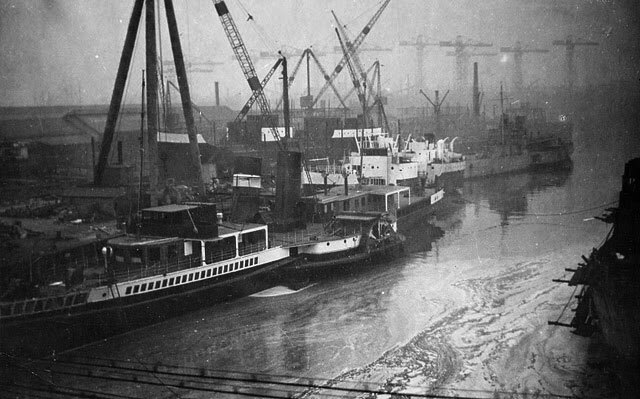 These three Govan establishments were laid out as one large modern shipyard. 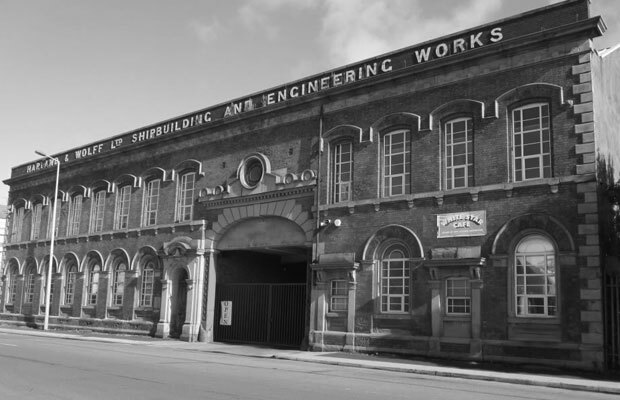 Lancefield Works, Glasgow Purchased - Harland & Wolff opened the engine works in 1914 to provide diesel engines for their ships. 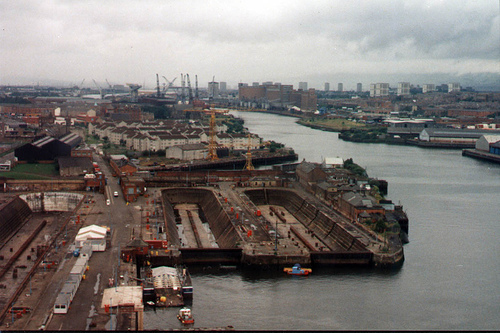 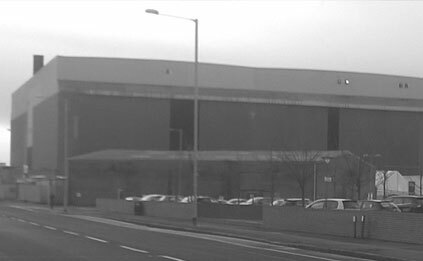 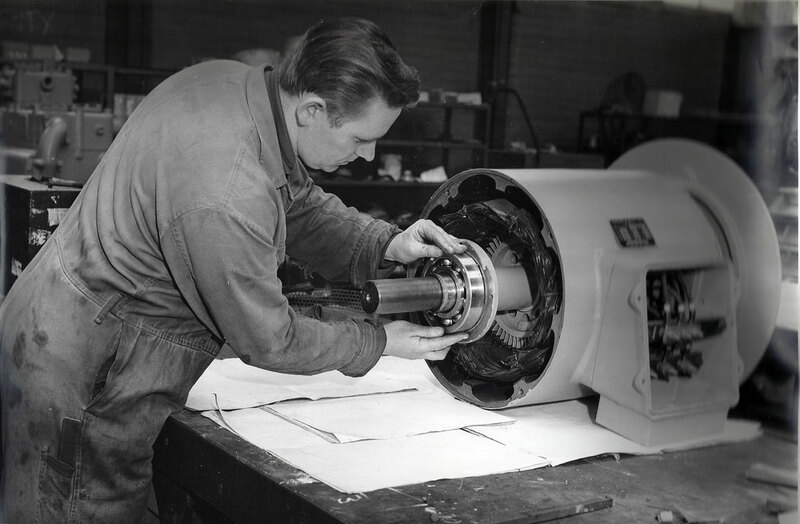 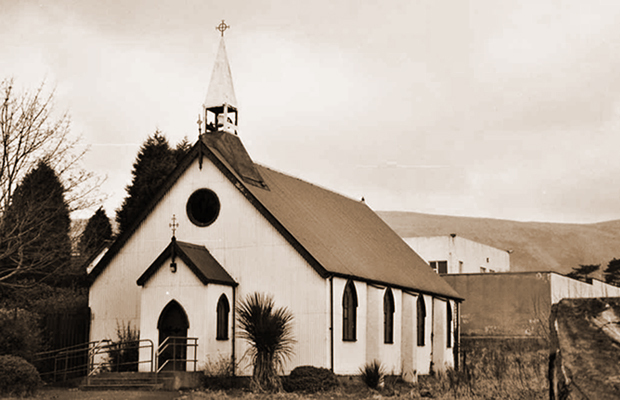 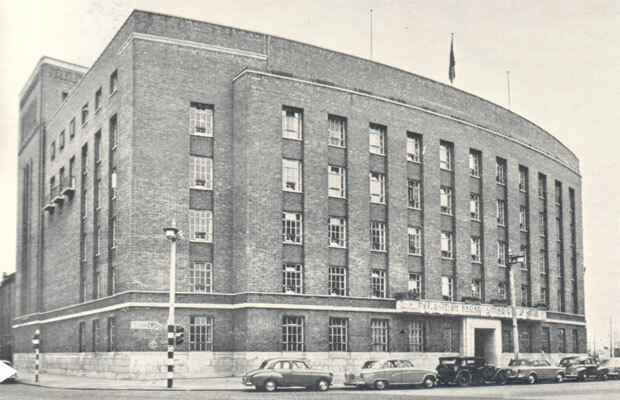 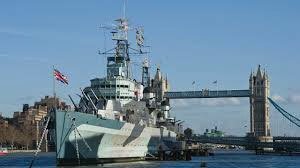 The site was sold in 1965 to be redeveloped as a printing works for the Daily Record Newspaper. 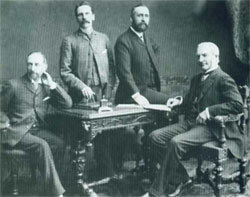 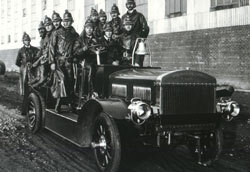 Owen Philipps and William Pirrie acquired the yard of Archibald McMillan and Sons of Dumbarton through the Lamport and Holt company which passed the management to Harland and Wolff. 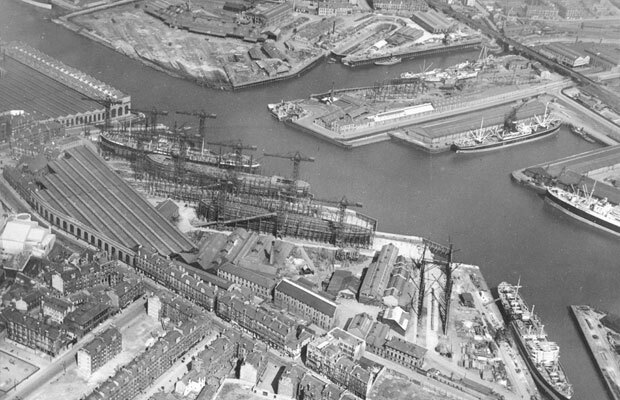 A year after the death of Robert Caird in 1916 Harland & Wolff Ltd purchased Caird and Co, Greenock for £432,493. 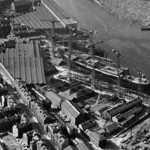 The firm continued trading as a separate enterprise, with Arthur and Patrick Caird on the board, until 1922. .
A third shipyard the East Yard was opened, and at 85 acres was one of the largest shipyards started in Britain during the war. 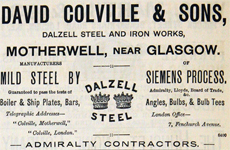 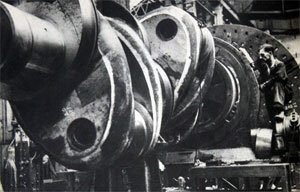 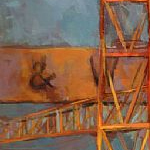 Acquired a controlling interest in the Motherwell steel works of David Colville and Sons, together with their collieries, to supply the yards. 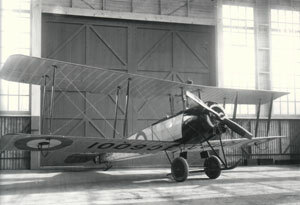 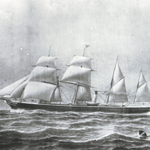 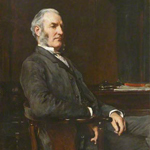 Lord Pirrie was returning from a voyage to Buenos Aires, recuperating from pneumonia, when he died at sea. 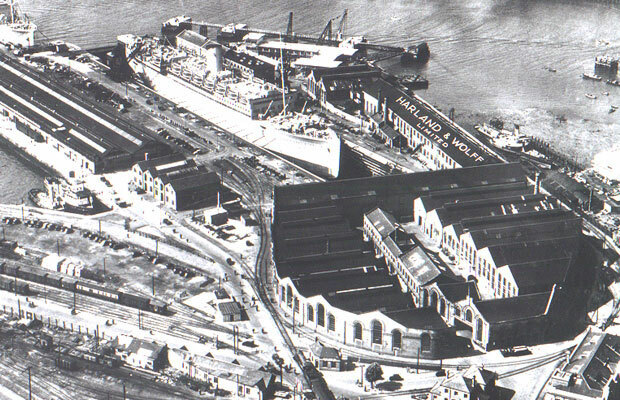 From 1919-30 the yard at Archibald McMillan and Sons of Dumbarton , was modernised and expanded, involving significant investment,however, each new ship returned smaller and smaller profits and eventually the yard closed in March 1930. 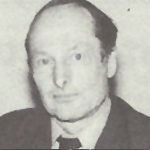 The chairmanship went to Charles Palmour from the accountancy firm who were Auditors of the Midland Bank. 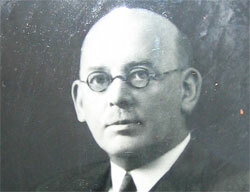 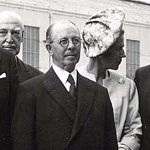 Denis Rebbeck followed his father Sir Frederick Rebbeck as Chief Executive of Harland & Wolff. 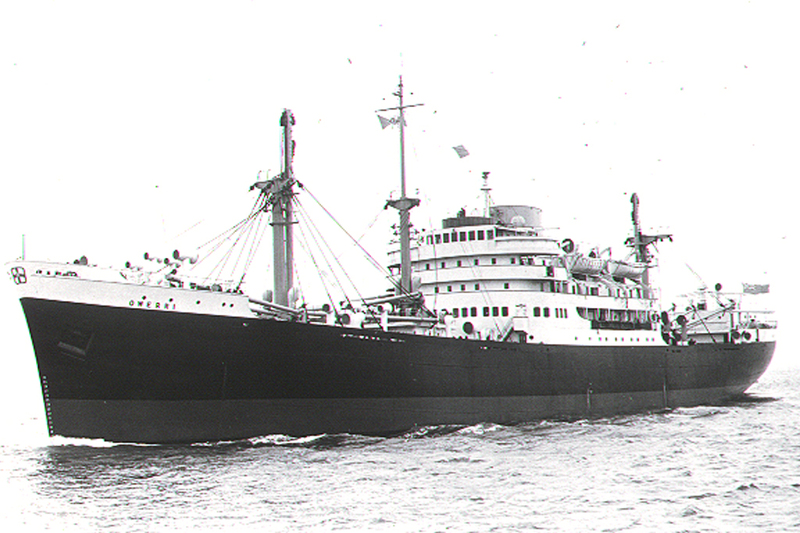 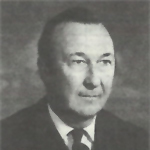 In exchange for a 1.5 million pounds loan in 1966, the government effectively assumed control of the company, appointing John F. Mallabar as chairman and financial controller. 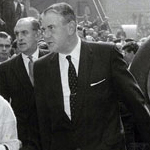 Sir John Mallabar announced his resignation as chairman in March 1970 and was replaced by J.R. Edwards. 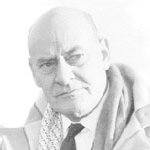 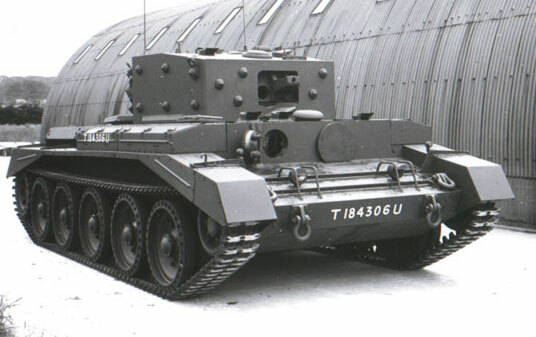 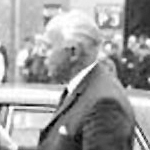 By December 1970 Edwards resigned as Chairman. 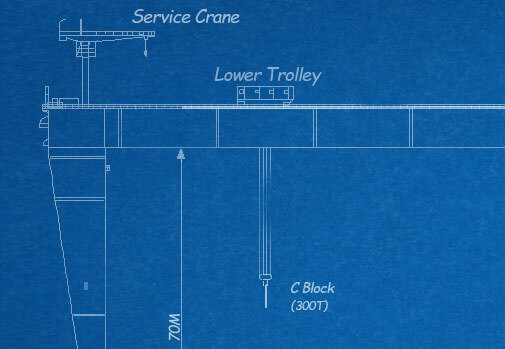 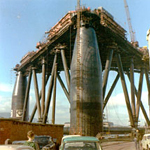 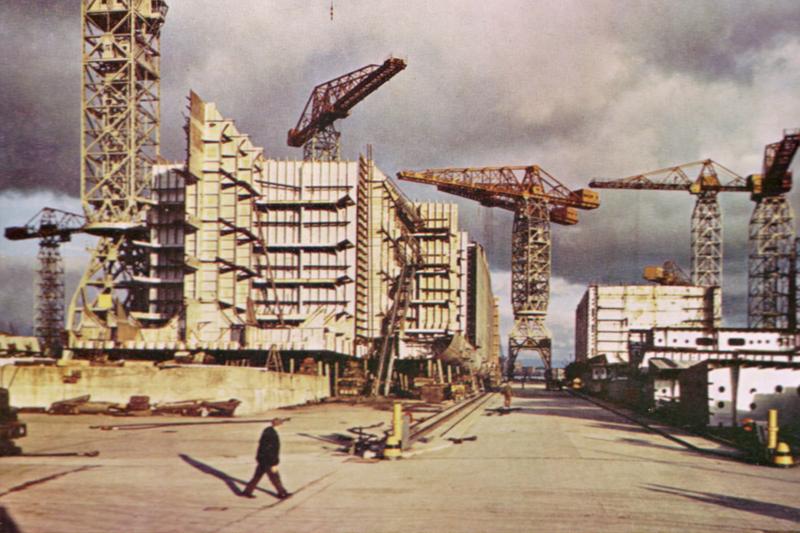 The Arrol gantries were demolished to give way to a parking lot for employees of the shipyards. 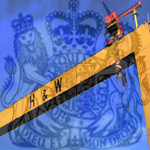 The British Government acquired all the company shares. 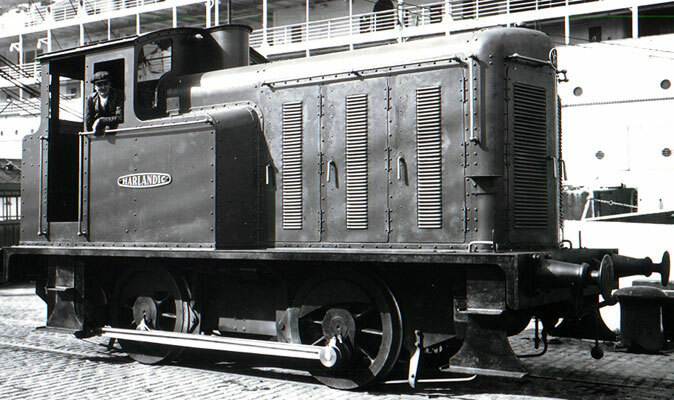 The yard was not nationalised because it was a special Government funded yard. 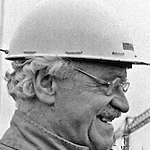 It was announced on 31st October 1980 that Mr. V. A. Cooke, had been appointed Chairman of the Company to succeed Sir Brian Morton. 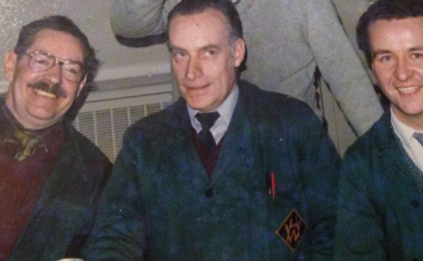 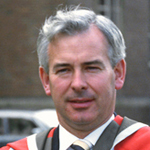 On 16th April 1981 it was announced that Dr Vivian Wadsworth, had been appointed Chairman of the Company for a period of three years with effect from 1st May. 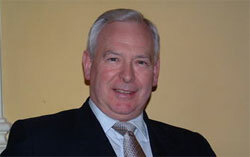 The Government announced the appointment of a new chairman and chief executive John Parker.